360 Underwriting Solutions is a Broker-centric underwriting agency dedicated to the provision of specialist Insurance solutions for Brokers and their customers. The business was formed on the back of the “360 Commercial” product, delivering innovative cover for small and medium businesses. Having acquired the 360 Commercial product and team from the AUB Group in 2017, 360 has already launched new business lines offering Accident & Health and Aviation, Commercial Motor and Cyber products. To have achieved so much in its first year of operation demonstrates the ability of the directors to attract talented underwriters, instil confidence in our security providers and drive growth through long-standing and valuable Broker relationships. Co-owners and fellow directors, Denis Morrissey and Chris Lynch, are committed to creating a set of values that anchor the business to its Brokers and their clients, delivering genuine value to both. These values will be built upon the importance of thinking fast and acting faster. Having acquired the 360 Commercial product and team from the AUB Group in 2017, 360 will continue to invest in the heritage of the brand and the Commercial product. At the same time, we will actively explore new product frontiers as one of Australia’s truly independent underwriting agencies. Co-owners and fellow directors, Denis Morrissey and Chris Lynch, are committed to creating a set of values that anchor the business to its Brokers and their Clients, delivering genuine value to both. These values will be built upon the importance of thinking fast and acting faster. Built upon a highly versatile business model, 360 Group Services is able to partner with a range of leading individuals and capacity providers. The latest such partnership has led to the launch of “360 Accident & Health”. Working closely with its recently appointed Executive Director and Co-Owner, Peter Banks, 360 is now able to deliver a comprehensive range of Accident and Health solutions for Brokers. 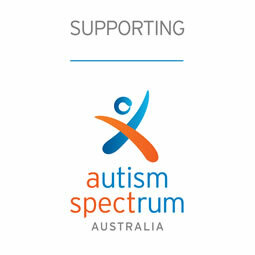 Proud supporters of Autism Spectrum Australia (Aspect). Helping Aspect to create a world where no-one on the autism spectrum is left behind. Autism spectrum disorder (autism) is a disability that affects the way a person processes information and relates to others. There are an estimated 120,000 Australians who are on the autism spectrum, 30,000 of whom are children or young people under the age of 18. Aspect is based in NSW and is the primary provider in Australia of services for children and families affected by autism spectrum disorders. i. The St. Edmund’s School St. Edmund’s in Wahroonga is a co-educational secondary school for teenagers with vision impairment and a wide range of other disabilities including intellectual disability and autism. For over 56 years it has been part of the mission of the Christian Brothers. Students now travel up to 40 kilometres to Wahroonga from all over Sydney. St. Edmund’s today is a dynamic school, based on a regular high school model, which has a major focus on work education and placement. The curriculum offers both life skills to HSC level and regular school certificate options. All students are catered for through an individual program which addresses academic, personal wellbeing and emotional spheres. 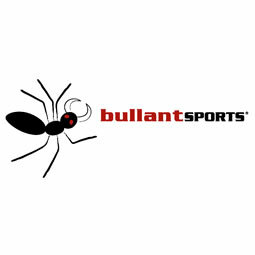 High levels of technology support all aspects of the program. The school motto “St. Edmund’s – where life is celebrated, the kids are cool, and disability is only a state of mind” says it all! ii. The Victor Chang Cardiac Research Institute conducts fundamental heart research, provides cardiovascular research training, and facilitates the rapid application of research discoveries to patient care. A community organisation capital grant opportunity has been developed by the Geelong Community Foundation and Adroit Insurance & Risk. The $100,000 capital grant will make a significant difference annually to a Geelong region community organisation through the proceeds of the Adroit Insurance & Risk Charity Golf Day. 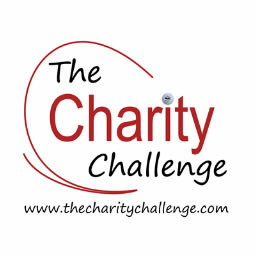 In 2018, the event will be held at 13th Beach Golf Links on the 22nd November. Since its inception, the Golf Day has successfully helped raise over $1million for local causes. The $100,000 capital grant will add to the $7.7 million in grants that the Foundation has provided to community organisations since 2001. The successful recipient of the 2018 grant is Kids Plus Foundation. The grant will support a Playground for Children with disabilities. This play space will form an important part of their physical therapy. 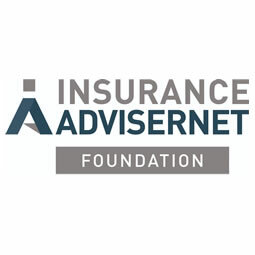 The Insurance Advisernet Foundation was established in 2015 as a way to consolidate the considerable goodwill that already existed amongst Insurance Advisernet Authorised Representatives across Australia. The aim of the Foundation is to support local Australian organisations that work to help change the lives of individuals, families and communities for the better.